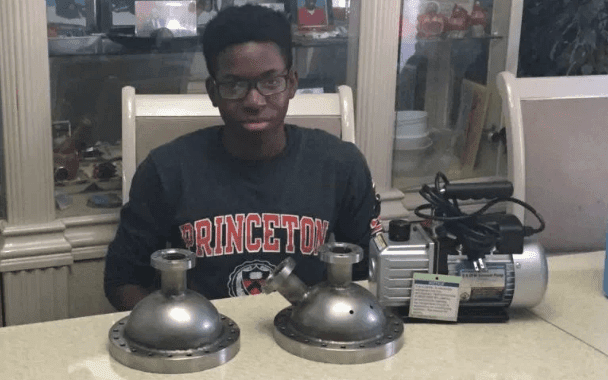 Sixteen-year-old Nigerian teenager, Steven Udotong, has invented a nuclear energy fusor, making him the first black student to attain such feat. A fusor is a device that uses an electric field to heat ions to suitable condition for nuclear fusion. 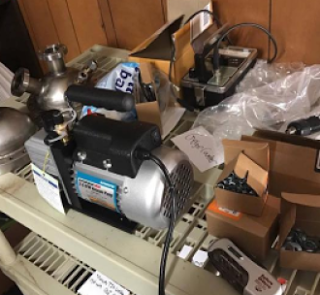 The machine generates an electric potential difference between two metal cages inside a vacuum. Speaking in an interview with blavity.com, Udotong, a high school junior in Southern New Jersey, hoped that his invention would inspire a cleaner, more environmentally-friendly future for all. He was able to achieve the feat by creating a GoFundMe page, where he raised 1,500 dollars for supplies, in just one month. He said “I grew curious after we flew by the topic of nuclear energy in my chemistry class last year. I decided to do more research and I soon learned that I could actually make a nuclear fusor. “That sparked my interest. I want people to know that there are alternate methods for obtaining power and energy. “I want to examine more clean energy products and stop the fear of the word “nuclear,” Steven shared in an interview on The Well, Jopwell’s Digital Magazine, with his older brother, Emmanuel, a computer science student at Princeton University. “Nuclear energy is a lot safer than people think,” he added. 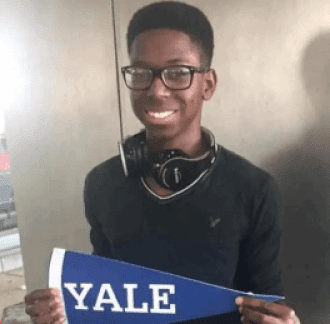 Just last summer, Steven was accepted into Yale Young Global Scholar Programme, which allowed him to pursue the engineering workshop at the Singapore campus. He was one of three students from New Jersey to attend the workshop. He said he realised he could be the first black student to build a nuclear reactor. ways for minorities to pursue success. Sports and music were not the only avenues for us. “There’s room for us. There’s a need for us to participate in academia, business, art, law, medicine, and yes, nuclear energy. Udotong who has just completed the first part of his invention says when he is done he planned to enter it in science fairs and competitions for a chance to pursue scholarship opportunities. His ultimate goal, he said, was to start a conversation on state and federal level, about more serious action toward adopting alternative energy sources.